All homes currently listed for sale in the zip code 90026 as of 04/25/2019 are shown below. You can change the search criteria at any time by pressing the 'Change Search' button below. "Nestled into a tranquil hillside is the most stylish house in Silver Lake, an exquisite Moderne designed by William Kesling in 1936. Artfully and painstakingly renovated with respect to its heritage, the home presents a sun-drenched layout with glass doors and multiple outdoor areas enjoying majestic vistas. Exquisite details are abundant, and the fully remodeled kitchen has new cabinetry and appliances. Gorgeous wood flooring flows throughout. The upstairs Master enjoys brilliant up-close views of the Silver Lake Reservoir. On the expansive lower level, a third bedroom with a fireplace can function as your guest room or office; a large den is perfect for screenings. Outdoors find an enchanted setting for entertaining with a petite pool. This serene location is remarkably close to Silver Lake's favorite hot-spots including LA Mill, Alimento, L&E Oyster Bar and many more. Trader Joe's, Gelsons, Whole Foods 365, the Reservoir and twice-weekly Farmers Market are just a stone's throw away." "Attention architectural aficionado's & those who truly appreciate stunning contemporary architecture~here is your dream home! Built in 2014 this dramatic wood & glass, 2 story home w/high ceilings, hardwood floors & walls of glass to the knockout views of the skyline, downtown & surrounding hills is to write home about. The front veranda off the huge glass doors gives that ambiance of indoor/outdoor openness sitting by the Corten fire pit; making entertaining a dream. 3 beds & 2.5 baths & even a family room/den on the upper floor off of the bedrooms. The flat grassy yard for your enjoyment upstairs is a must-see & a great place for the kids to play while you enjoy the patio area. One of a kind & the ultimate in contemporary architecture best describes this masterpiece. State of the art Crestron home automation system operated by iPad, controlling lighting, speaker system thru-out the house w/central music & A/C. **Front deck is 260 sqft, Master deck is 180 sqft. Garage is 450 sqft." "Completely reinvented, this stunning property underwent a transformation with a rare attention to details and a focus on functionality and comfort. This bright, airy and stylish home offers 4 sizable bedrooms, a dining room, an office and a spacious living room opening to the backyard. The kitchen has a great flow with ample cabinets and counter space. All three bathrooms are a work of art, professionally and beautifully designed. Generous outdoor spaces with lush landscaping and Ipe decks interconnect with the house, with multiple sitting and dining areas. Eminently walkable street, just minutes to nearby Sunset Junction's quirky boutiques, restaurants, cafes and much more. This home features solar panels, dual zone A/C and is fully gated. A truly magical and special property." "This stunning home is thought to be the incredible work of famous architect Arthur Benton in 1901. It has been lovingly restored giving you a magical historical experience, but with a fresh new take. 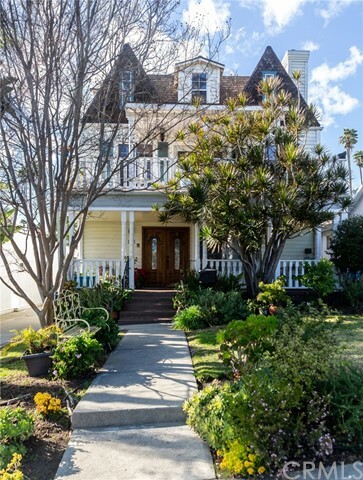 In the heart of Angelino Heights, this house has it all. You have the opportunity own a beautiful, expansive home with green views, a yard, community, and quiet up on this little hill, while still being a short walk to some of the greatest the east side has to offer -- Ostrich Farm, Cookbook, Honey Hi, Bar Calo, Lassens, EightFold, Echo Park Lake, Elysian Heights and more. This is Southern California living at it's finest: rich history, charm, great indoor/outdoor living, walkability, parking!, and modern conveniences. The sqft does not include basement or attic. This home has been accepted into the Mills Act program becuase of it's historical importance, which offers substantial Property Tax savings. It also has updated major systems: foundation, plumbing, electrical, heat and a/c." "Well located in Silver Lake, this private and serene residence is an art lover's dream with bright, open spaces to inspire creativity. The Contemporary-style residence presents a light-filled open layout synthesizing stylish design with dramatic architectural elements including high ceilings, oversized windows and sliding glass doors. The kitchen is finished with a full-wall penny tile backsplash and stainless appliances; French oak flooring flows throughout. Upstairs, three bedrooms include the ensuite Master with hillside views and a spacious walk-in closet. A high hedge and fence create a gracious outdoor environment with a wraparound porch, tranquil Buddha fountain and flat yard, ideal for relaxation and open-air dining. Amenities include gated access, central heat+air and a two-car garage. This great location is just a stone's throw from Sunset Junction offering easy access to the twice-weekly Silver Lake Farmer's Market, Alfred Coffee, Night+Market Song and so much more." "Welcome to a beautiful Victorian House. it is 5 BEDROOMS. and 3 BATH. There is 3 bedrooms & 2 baths upstairs. Rich cherry hardwood floors thru out the house and ceramic tile in the kitchen and bathrooms. Beautiful gas fire place in living rooms, spacious family room on 2nd. level. Nice big kitchen with plenty of storage, granite counter tops, gas laundry hook ups on 2nd. level. Nice size porch at entrance and nice deck on 2nd. floor. BEAUTIFUL CITY VIEWS FROM THE ATTIC, attic is very spacious and could be converted to a bonus room etc., but work needs to be done to complete it. House comes with Solar Panels, they will be paid off at COE. Garage has been converted without permits and kitchenette on 2nd. level has no permits. Owner currently uses Air B and B to rent 2nd. floor, property will be vacant at close of escrow. Property was completely remodeled in 2006. HOUSE WILL BE SOLD AS IS. BUYERS TO DO THEIR OWN DUE DILIGENCE. SELLER IS MOTIVATED!!" "This extraordinary, one-of-a-kind property has two separate addresses, 2 gas meters (not installed yet), 2 mail boxes - tucked away from the city in one of the most charming pockets of Silver Lake . In addition to its amazing location, this house has solid bones for you to have your Dream Home, create your artist's retreat or rent out to have additional income. Original house was 2 bedroom/1 bath, approximately 1,100 sq. feet. Previous owner added, with permits. Yes, you read it right, a two story 4 bedroom/ 3 bath, 2,147 sq. ft. house with permits (1989). Each one has its own HVAC equipment. The two car garage offers ample amounts of storage throughout. This is an opportunity to - with a little TLC - use one of them as a short or long term rental. The cherry on the cake home qualifies to First Republic's Eagle Community Loan Program, 3.57% APR and $7K credit for closing costs. Ideal location just a few blocks from Sunset's best shops & eateries! Welcome Home!" "OVER AN 11,000 SF LOT!! EXTREME POTENTIAL!! HOME + GUEST HOUSE + ARTIST STUDIO!! 3 SEPARATE STRUCTURES ON A HUGE LOT! Welcome to Shangri-La! Grand Setting sitting far back from the city street, offering a Loving Home PLUS Guest House! The Home consists of 2 Bedrooms, Fireplace, and opens to your winding, curled Trail through your Woodsy Grounds. The 1+1 Guest House is privately separated from the Main Home. Grounds feature serene trails, from a classic antiquated BBQ winding thru Lush Foliage to a Meditation Room, separate and apart from the hustle and bustle of the City Clatter, which brings you that much closer to Shangri-La! Tandem Parking for 4-5 cars. Plenty of Storage and so much more! In the novel, the people who live at Shangri-La are almost immortal, living hundreds of years beyond the normal lifespan and only very slowly aging in appearance. We hope that this Lovely Estate does the same for you!" 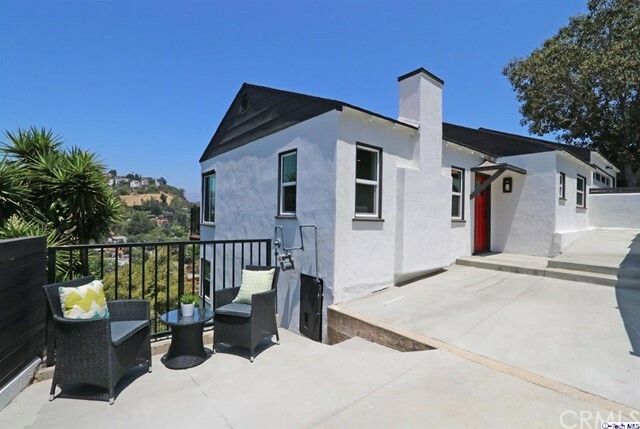 "Picturesque city light views and charming character abound in this immaculate 2bed/2.5bath hillside home in prime Silver Lake. An eye-catching red accent door welcomes you into the spacious living area w/hardwood floors, corner vintage fireplace, & private balcony with sky-high views of Silver Lake & beyond. A modern chef's kitchen around the corner boasts a twin basin farmhouse sink, stainless steel appliances, & quartz countertops as well as a connected dining room that shares the sweeping hillside views present throughout the rest of the home. Wood accented walls follow you downstairs where chic, sliding-barn doors open up to the two spacious bedrooms w/ attached ensuite baths - including a master suite that boasts a deep walk-in closet & spa like bath w/recessed soaking tub & custom tile work. No modern luxury has been sacrificed! The spacious backyard features a huge usable patio with multiple lounge areas and custom built decks. Just up the road from the neighborhood's hip & trending Hyperion Ave, you're less than a stone's throw away from finding your new go-to spot! Assigned to award winning Ivanhoe Elementary!" 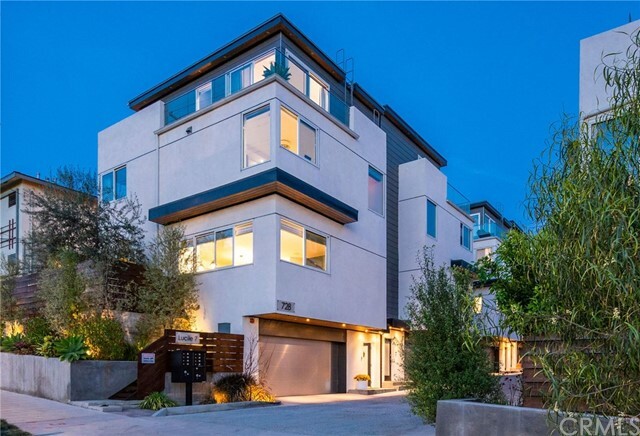 "Welcome to 816 Maltman, a Luxury, Detached Single Family Home in the heart of Silver Lake. Bathed in light, the home features an open floor plan, double height entry foyer, decks on living level to maximize indoor - outdoor living and a private roof deck with jaw-dropping views from downtown to the Hollywood sign, Griffith Observatory and beyond.Modern amenities throughout include dedicated solar panel areas on roof, energy-efficient appliances, direct access 2-car side by side garages, spa like bathrooms, large kitchens with quartz counter tops and high-end Bosch appliances. There is a separate, direct entrance to one of the bedrooms with bath from the lower level, great for a home office. 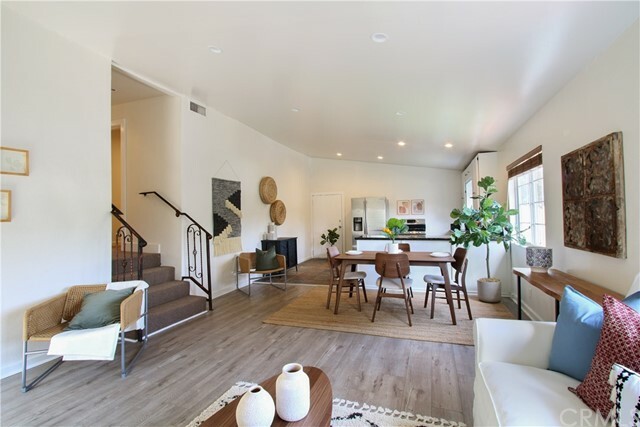 Wired and smart home ready.Centrally located in the heart of Silver Lake, Maltman Homes is a stone's throw away from local hot spots, shopping and freeway access." "Charming Silver Lake traditional circa 1939 in a coveted location in the hills. Set up from the street with views and privacy, this move-in ready 2BR/2BA has retained its charm over the years with thoughtful updates and renovations. A front porch greets you with downtown skyline views as you enter into a light-filled living room with built-ins and fireplace. A dining room connects to the kitchen and den with amazing access to a large backyard. Two bedrooms and two bathrooms complete the ideal layout. The rear yard has a huge patio with outdoor kitchen, ideal for entertaining and dinner parties under the stars. The flat grassy area is fenced in and perfect for pets, kids or even a pool. Spacious 2-car garage, central HVAC, interior laundry. Located in the heart of Silver Lake close to both the reservoir and Sunset Junction. Many shops and restaurants such as Pine & Crane, LA Mill and Botanica are within walking distance. The Silver Lake home you have been waiting for!" 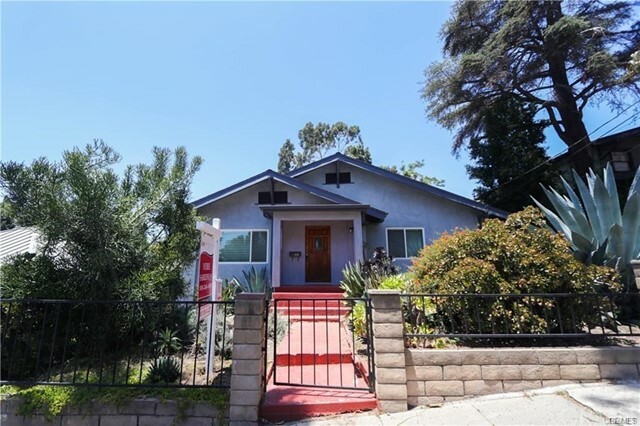 "Incredible Opportunity in Silver Lake with many possibilities! Huge RD3 View Lot with 11,247 sq. ft. Currently a Craftsman Style Duplex with a total of 3143 sq. ft. One side is approximately 1300 sq. ft with wood beamed ceilings and is a 1 bedroom, 1 bath, currently rented and is well maintained. The other side is vacant with 2 bedrooms, 2 baths, approximately 1800 sq. ft, with coved ceilings and is awaiting a remodel. Build your dream home with a guest house, or build up to three units (3000 sq. ft. each)! Enjoy open living areas with spacious living/dining and kitchens in both units, original built ins and wood floors, with lovely views of the Hollywood Sign, Griffith Park Observatory and the Silver Lake hills and a cool perspective of Sunset Blvd in the distance. Two driveways- one on each side, laundry hookups both units. Located just a block away from exciting Sunset Blvd, close to Sunset Junction with all the trendiest shops, restaurants and the lifestyle you are looking for." "Built in 2016, this sophisticated, modern-contemporary home is located in one of the most vibrant, walkable neighborhoods in LA. An abundance of natural light beams through oversized, custom windows on each level of the home. Experience seamless indoor-outdoor living as the dramatic great room transitions into the private yard oasis. An open and airy kitchen features Caesarstone countertops, Bosch appliances, and vertical lift shaker cabinet doors. Each well-balanced living space is finished with elegant wood flooring, recessed led lighting, energy efficient HVAC and a fully integrated, built-in multi-zone Sonos audio system. The master bedroom offers a spa-like experience in the en-suite bathroom with dual vanities, separate shower & soaking tub. Oversized sliding glass doors lead to breathtaking views of DTLA's city skyline, Hollywood Sign, Griffith Park Observatory and nightly sunsets from the top-floor wrap around deck. The attached two car garage was designed with direct access providing an epoxy finished floor as well as additional storage space. State of the art materials, thoughtful design, and an open functional flow make 728 Lucile Avenue a rare opportunity." "Located in the heart of desirable Echo Park, this 1925 Spanish Bungalow retains all of its original features. Hardwood flooring, lighting fixtures, tile and coved ceilings are all in excellent condition. In back, mature trees cast cool shade over a terraced oasis. Two separate living areas, main upstairs and Mother-In-Law downstairs, each include two bedrooms, one bath for a total of 1676 sf. Within walking distance to clothing boutiques, coffee houses, organic juice bar, organic veggies, and wonderful Elysian park. A five-minute drive gets you to the library, post office, and major freeway access. In seven minutes you are downtown. This is a perfect home for extended family or home office allowing privacy between sections of the house. All in all, great vibes and serenity in a hip and trendy neighborhood." "An exquisitely rendered new home with epic views, bringing style and luxury to the hills of Echo Park. The two-level layout balances function and form with high ceilings and oversized windows gathering daylight. Three bedrooms include the Master Suite featuring two walk-in closets and a beautiful shower with polished pebble flooring and freestanding tub. Kitchen amenities include a center island, waterfall quartz edge, full-height tile backsplash and Viking appliance suite with French-door fridge. Oak plank flooring flows throughout. Ascend floating stair treads to the rooftop deck, a generous open-air space finished with Mangaris wood raised panels. Relax and entertain against a backdrop of vistas from the Hollywood Sign to Downtown LA. The two-car garage has direct access; the washer+dryer is by ElectroLux. This choice location in Echo Park earns a remarkable 91 Walk Score , placing you near shopping and amenities along with local favorites Chango, Cookbook, and the Semi-Tropic." 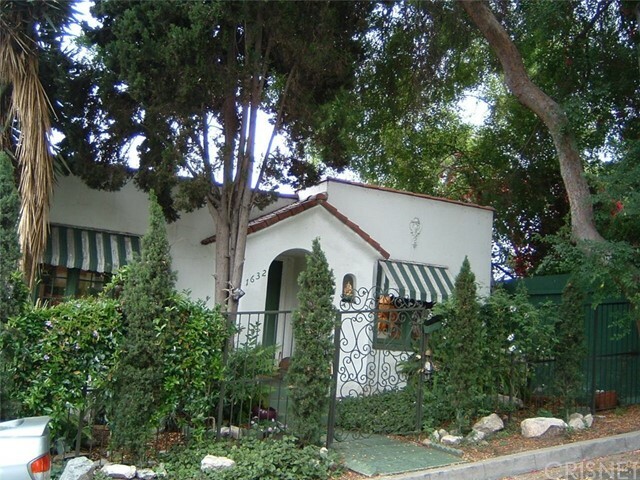 "Set along a charming palm-lined street you'll discover this Silver Lake Spanish beauty. Soak it in! Recent renovations have created modern conveniences while maintaining most of all the original charm. Walk through the front porch into a light drenched living room and find 3 bedrooms, a beautiful full bath, and a large deck overlooking the expansive grassy yard. Head downstairs and enter into a chef's dream kitchen with newer appliances and ample storage, which opens out to a covered patio and custom built-in BBQ. A true entertainer's delight! You'll also find a sparkling guest bath and entrance to the large basement. Privacy, tremendous storage and amazing indoor/outdoor flow are just a few of this home's highlights. This convenient location is just mere minutes to the reservoir and some of Silver Lake + Echo Park's best eateries and shopping. The perfect summer home awaits!" 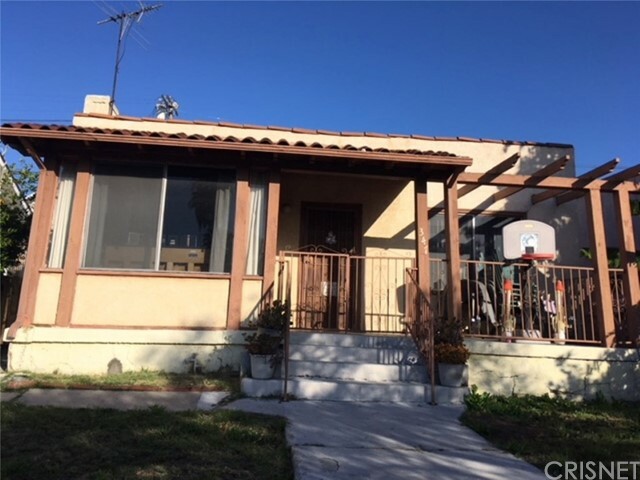 "Welcome to a newly renovated three-bedroom, two-bathroom single family bungalow style home in prime Silverlake/Echo Park area. This home has been immaculately updated throughout, boasting wood floors, vaulted ceilings, brand new kitchen with quartz counter tops and premium tiled bathrooms. A bright and open floor plan in the kitchen and living areas allows natural light to spill in. With beautiful outdoor living spaces in the front and back of the home, this is truly California living at its best. This home is the definition of TURN-KEY, with a completely redone roof, updated electrical and plumbing throughout and a new HVAC system! We can't forget the RING camera installed at the front door and to top it off, a detached garage that also offers a bonus artist den. Just minutes from downtown and blocks away from all the hot spots that Silverlake and Echo Park have to offer!" "A once in a lifetime investment opportunity in one of the most sought after streets in Echo Park. The last large street to street lot in Elysian Heights! Don t miss out on this rare opportunity in the making with unmatched million dollar panoramic views of downtown Los Angeles. An approximately 5,308 square foot lot with 1,400 square feet of living space on two levels. This extraordinary Modern style home has one bed, one bath with a unique open floor plan featuring high ceilings. Completely remodeled kitchen includes quartz counter tops, custom cabinetry and top of the line stainless steel appliances. The large master suite on the lower level includes one bed, one bath with a walk in closet, master bath with huge shower room, an office, and a laundry room. The entire property is walled for maximum privacy and security, which includes a remote powered gated driveway. In addition to this beautiful home and its amazing panoramic views, the value is in the land with the lot having two addresses. It is zoned R2 so you have the potential to build a second home, at 1847 PRESTON or check with city on small lot subdivision and possibly build multiple structures. The possibilities are endless .come build your dream home!" "Updated modern home with wonderful views in the hills of Echo Park. An open floor plan connects the living and dining rooms to an expansive kitchen that features a huge island perfect for entertaining. Kitchen consists of Alder wood cabinets, Calacatta Quartz counter tops, and stainless steel appliances. Master suite features a walk in closet and an ensuite bathroom. The lot is an ample size at 7,465 square feet, offering not only a large flat backyard but also a usable enclosed front yard. Which has been landscaped thoughtfully with sections of grass and DG. There's a 350 square foot basement with a separate entrance. Other updates include: 2 remodeled bathrooms, aluminum windows, copper piping, engineered oak floors, 200 amp panel, 3-ton HVAC, tankless water heater, fencing, and paint. Just a short drive or uber to downtown LA and Silver Lake." "See from the downtown view at the front to the sweeping view of the Hollywood Hills at the back of this inspiring, nearly 9.000-square foot, flat property. Find here a vintage home with 3 bedrooms and 1 bath set at the end of a long garden with sauna-gazebo. Rooms are large; ceilings are high. There's even an attic with extra space. Find other amenities: porches; patios; detached garage and a long driveway. Could the LAR2 lot offer expansion or redevelopment potential? Located on one of Echo Park's most-desired streets, just a short way from Elysian Park and Echo Park; Dodger Stadium; downtown and Sunset Boulevard destinations. Bring your dreams here!" "Conveniently located, minutes to Downtown Los Angeles with close proximity to major Freeway. Located next to a vacant lot with plenty of trees and shades, garage partially converted with attached workspace or exercise room.Two bedroom house with own bathroom each and an additional bathroom in the kitchen, computer room and basement use as storage, . Ample parking for 3 cars." "Beautiful craftsman style home. Partial views of downtown Los Angeles. Built 1921 this home is sold As-Is with no warranty. Must see with additional unpermitted bedrooms and 1/2 bath. Comes with small garage and a carport accessible thru back alley. This home is zoned Lar3 for the investor or remodeler." 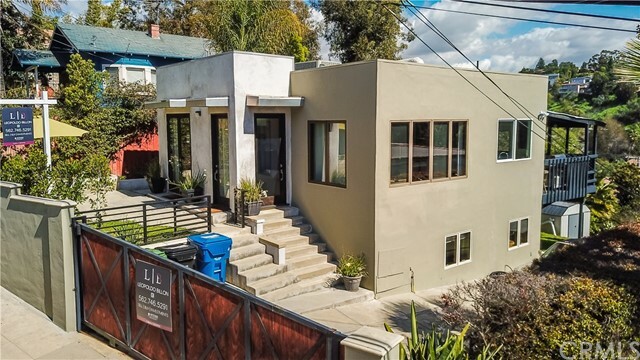 "Fall in Love with this trendy and serene single family home in a prime Silver Lake Location, known for its walkability to all the prime spots. This is the lowest priced three bedroom, two bath home north of Sunset! A mere drive by won t give you the full experience as this peaceful home lives behind the private fence and tall hedges. As you walk up, you are greeted with a sleek modern exterior. Beautifully manicured three-tiered yard with stunning views of the Silver Lake Hills, perfect for entertaining or enjoying a relaxing bonfire with friends and family. As you walk through the front door, the open floor plan features hardwood floors, tons of light flowing into the living area, and the peaceful views you get to enjoy as you are having breakfast. The spacious kitchen is complete with granite counters, ample cabinet space, recessed lights at the breakfast bar, and stainless steel appliances. The home is conveniently located near the reservoir, recreation, shopping, and restaurants. Take a walk to Sunset Junction, the Reservoir, Silver Lake dog park or the jogging loop! Enjoy all the trendy spots that Silver Lake offers within a short distance from home. And not to mention it is Zoned LAR2!! The possibilities are endless. Come and see why this home is so special."